Fish tacos are a popular food across the US and Mexico these days. 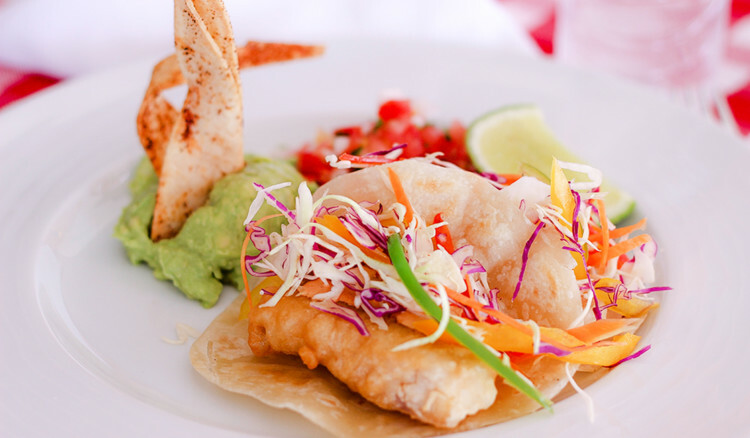 Find out how to make authentic Baja style tempura battered fish tacos from the chef at the Hacienda Encantada in Cabo San Lucas. 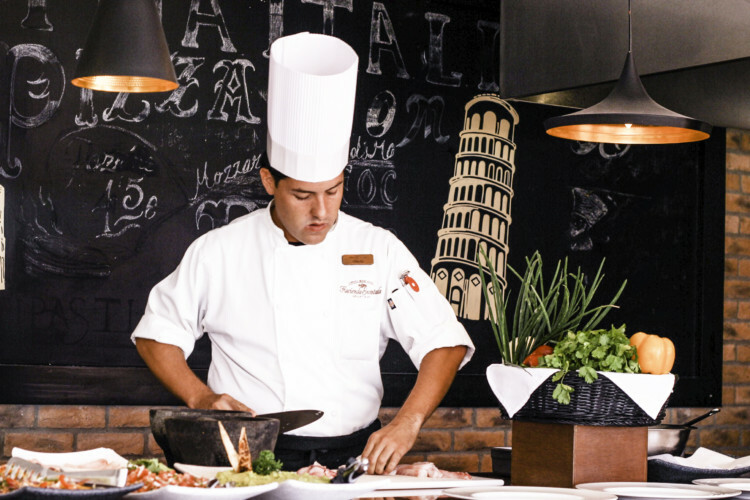 Cooking classes can be enjoyed as part of the resort experience. 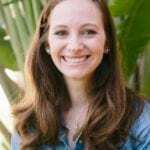 This Traveling Mom had so much fun at the cooking class that she considered it the highlight of her stay. 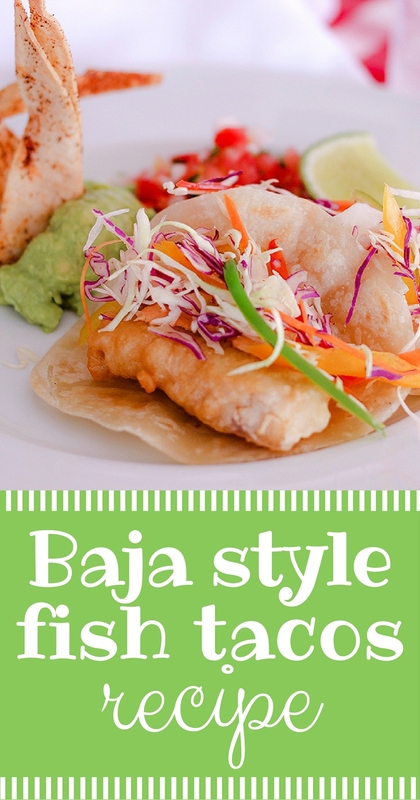 Make this Baja fish taco recipe and find out why she can’t stop thinking about it. The Hacienda Encantada Resort & Spa is nestled in the mountains of Cabo San Lucas and overlooks the Sea of Cortez. With fresh seafood teaming the sea, it’s no wonder these fish tacos taste better in Cabo than they do anywhere else. It also doesn’t hurt that the chefs are well trained. 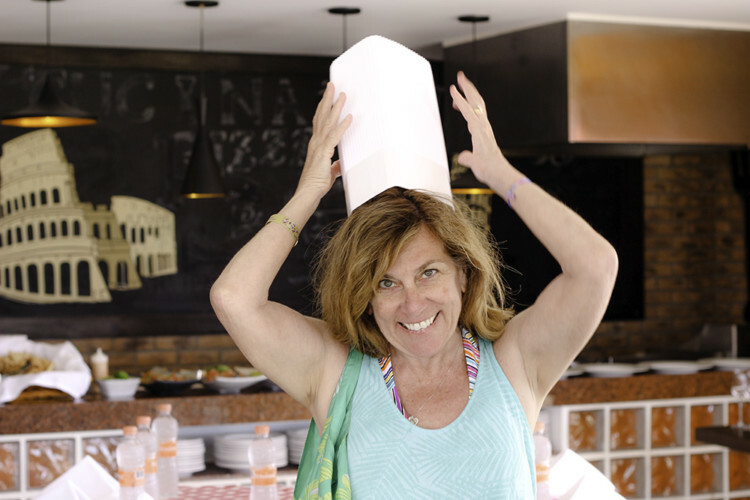 The cooking class at the Hacienda Encantada was by far the highlight of the trip for me. While I love excursions and relaxing by the beach, the cooking class offered something different than the usual all-inclusive beach vacation. It was a lot of fun to get dressed up and pretend to be a chef too! Even though these tacos taste better in Cabo, it is pretty easy to recreate them at home and be satisfied. 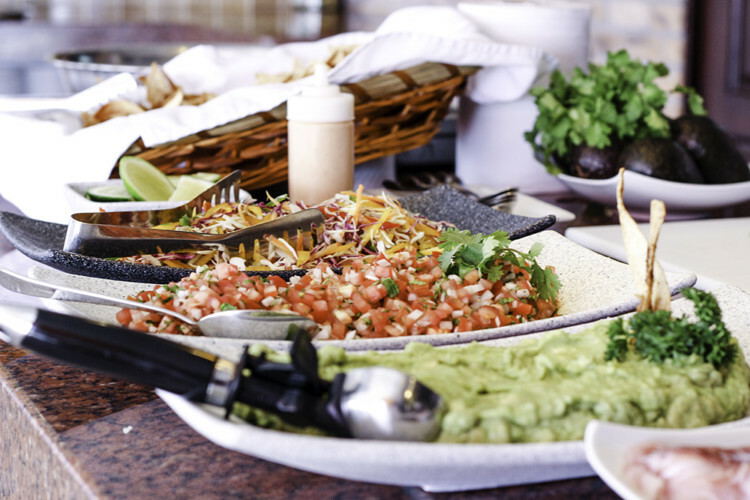 Bring home the taste of Baja by making these authentic Baja fish tacos with fresh sea bass and topped with guacamole and Mexican salsa. Heat corn oil in a heavy Dutch oven over medium high heat. Cut the fish in the form of fish fingers, then season with salt and pepper and dip it in the tempura paste until it completely covers the piece of fish. Cook fish in hot oil until it is a deep golden tone. Place one finger of fish in the middle of each tortilla and top with cabbage salad, guacamole, and Mexican salsa. The cooking class was such a hit. Not only did we learn how to make the fish tacos, but we also learned how to make fresh guacamole and pico de gallo. 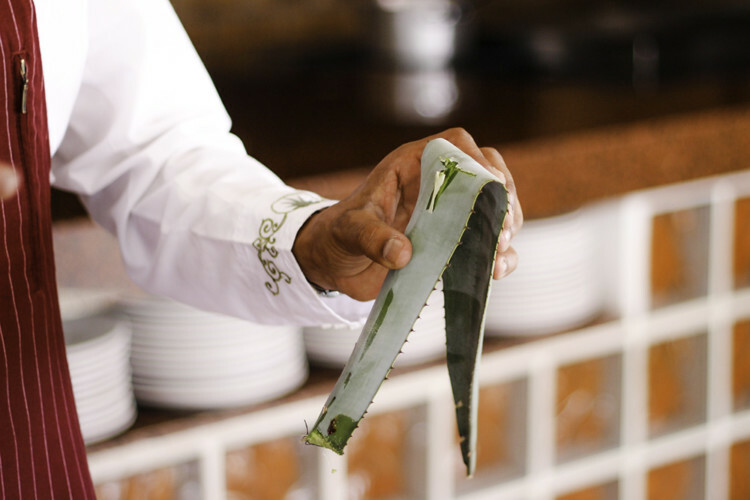 The cooking course offered so many tips that I never thought of when making authentic Baja cuisine. My favorite tip was how to correctly cut cilantro. You have to watch the video to see how to do it properly. I’m still trying to perfect it! Another perk of the cooking class was the tequila tasting after the meal. If you want to do the same, just ask the concierge to set it up for you. 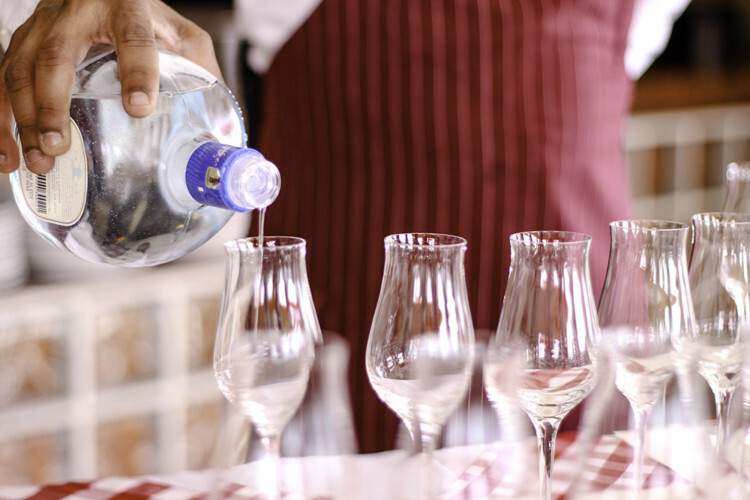 The sommelier will be happy to teach you all about the different types of tequila. The sommelier also taught us about the agave plant that produces the tequila. Did you know that true tequila only comes from one region of Mexico? It was such a cool experience to learn how different tequila is made and the origins. My main take-away from this trip is that no matter where I travel from now on, I’ve got to take a cooking class if it’s offered! If I can learn how to cook a regional dish everywhere I travel, I may be a culinary expert before I know it. While I may not be an expert in Baja cuisine just yet, I do feel like I’ve mastered the Baja style fish tacos and I’ll always think fondly on my time in Cabo anytime I make this recipe.